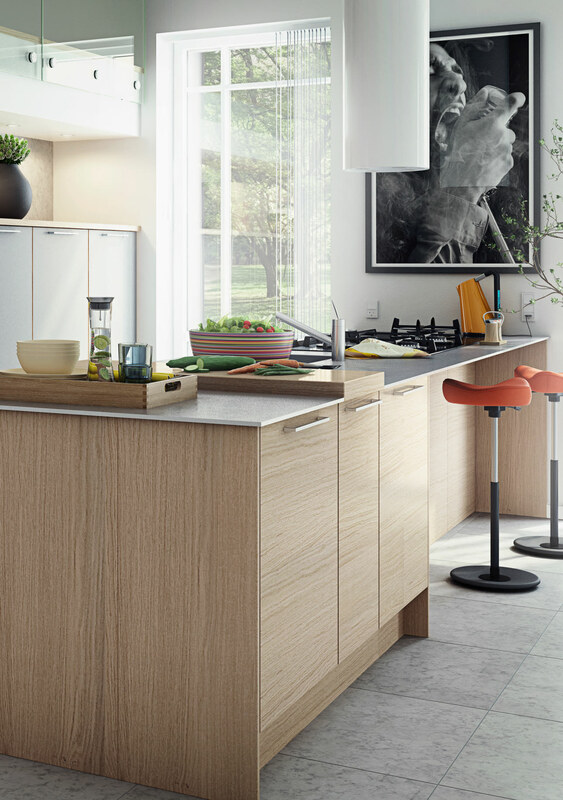 Focus Veneer is a modern kitchen for those wanting a natural wood look. 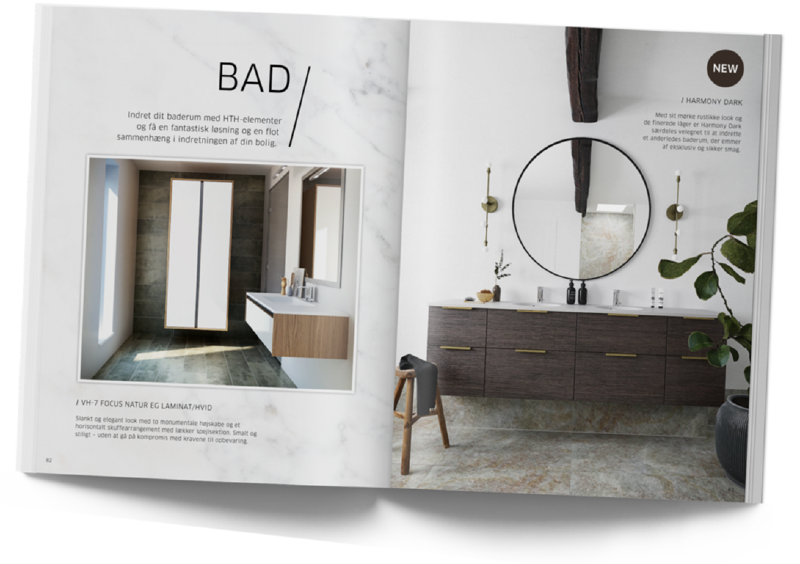 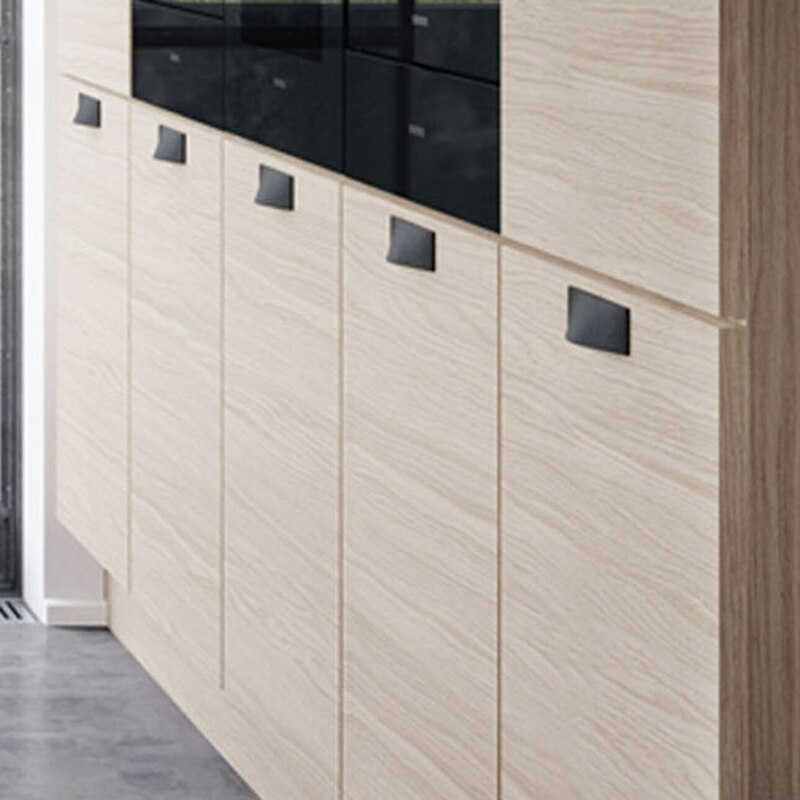 The veneered doors have a beautiful grain finish, and the doors are supplied in four different types of veneer. 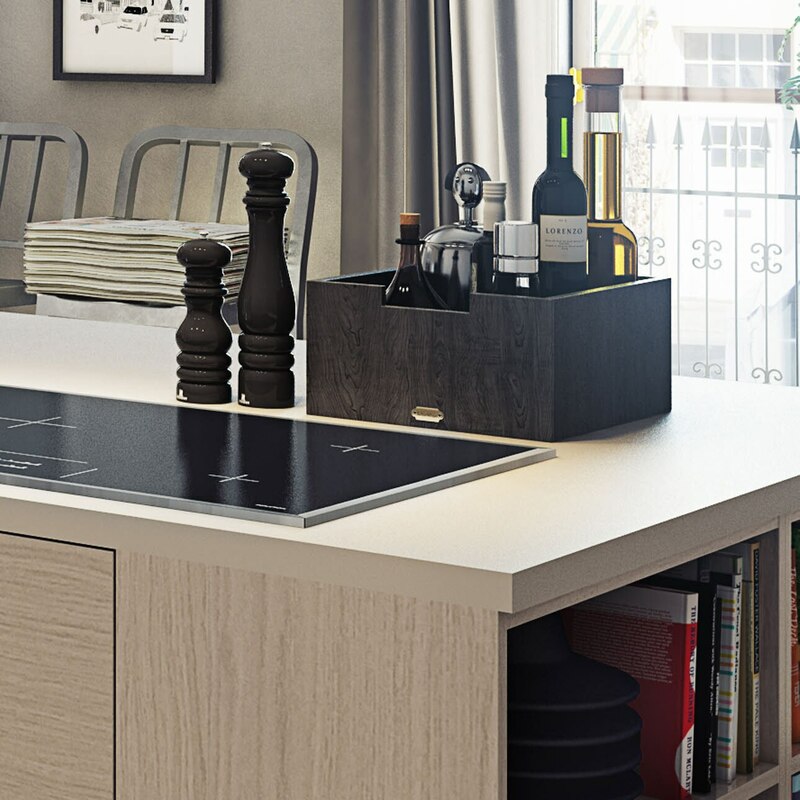 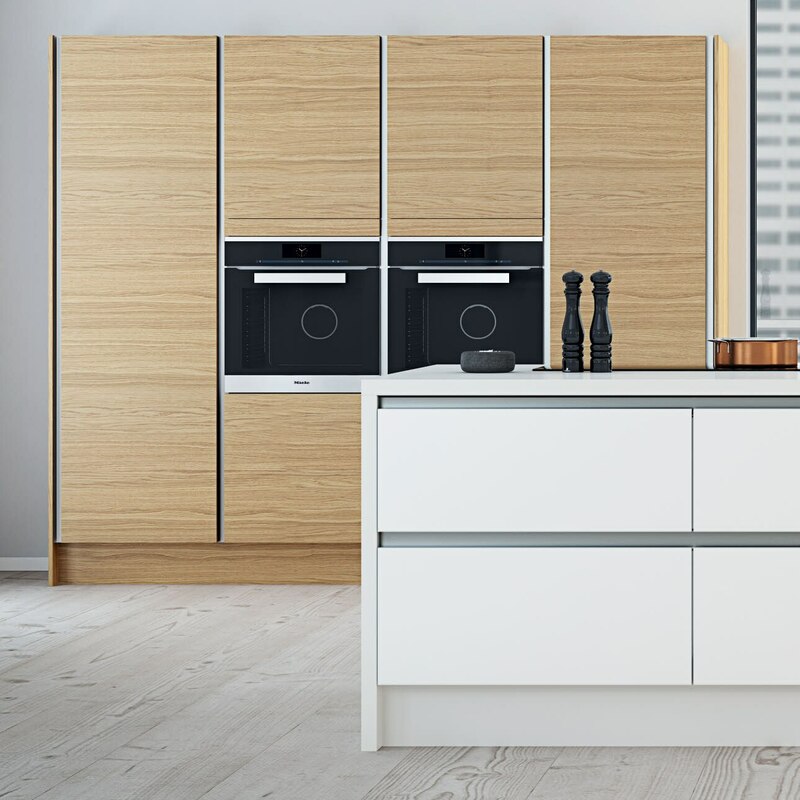 When choosing Focus Veneer, you can also combine the front with the models Focus Laminate and Focus White, enabling you to create a stylish and modern kitchen. 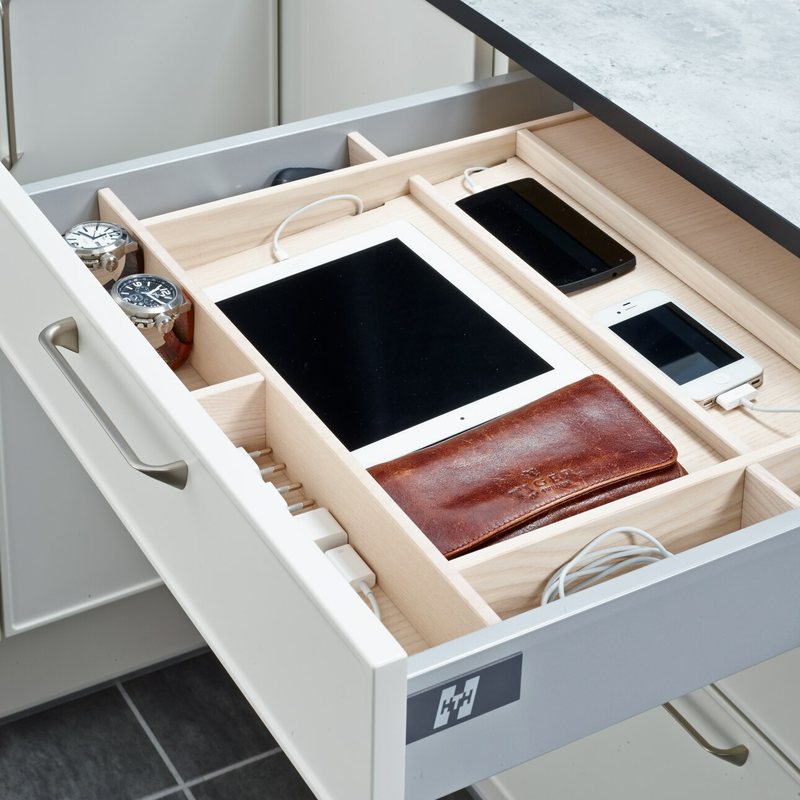 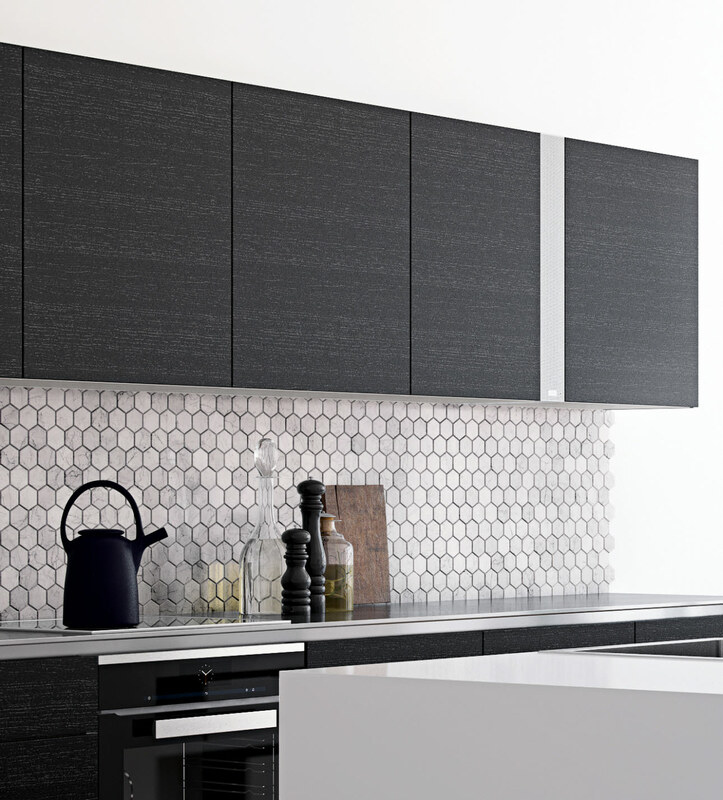 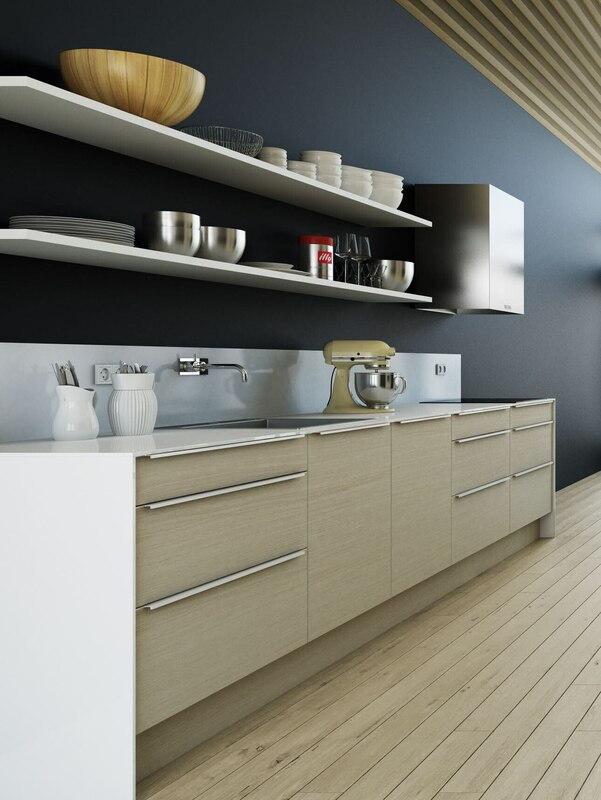 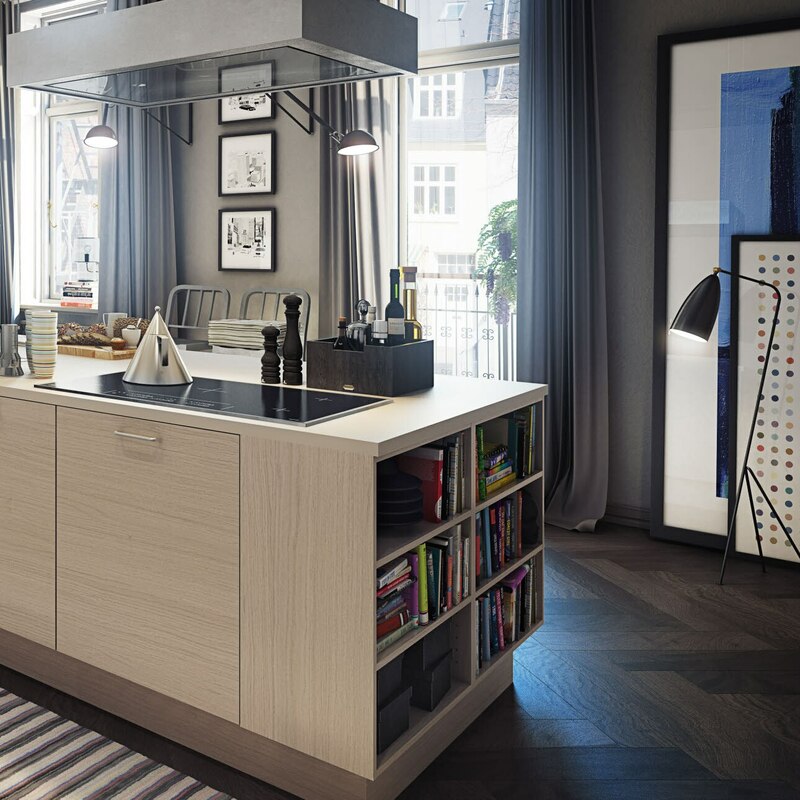 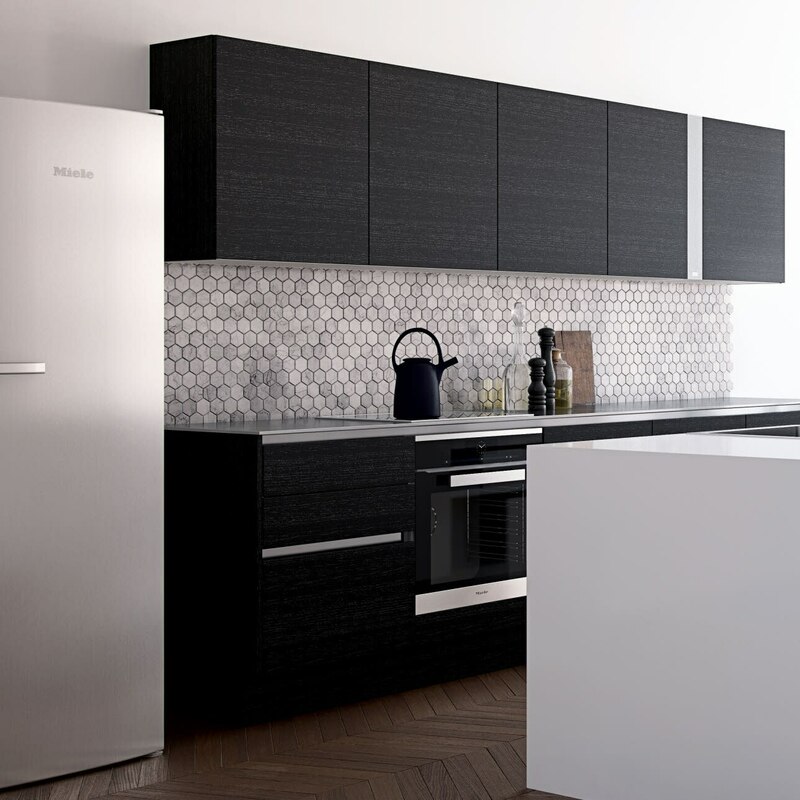 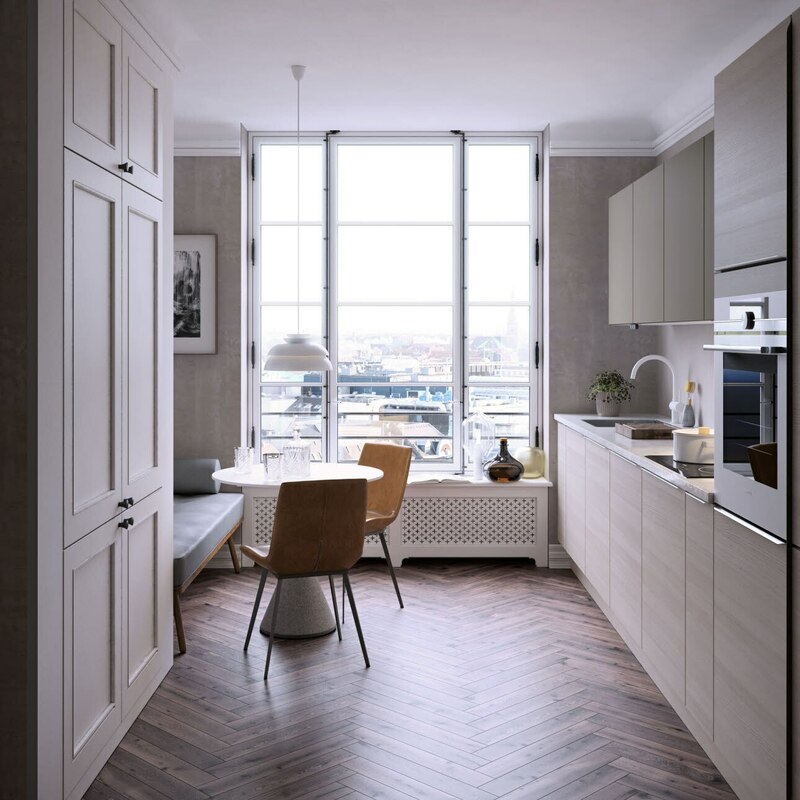 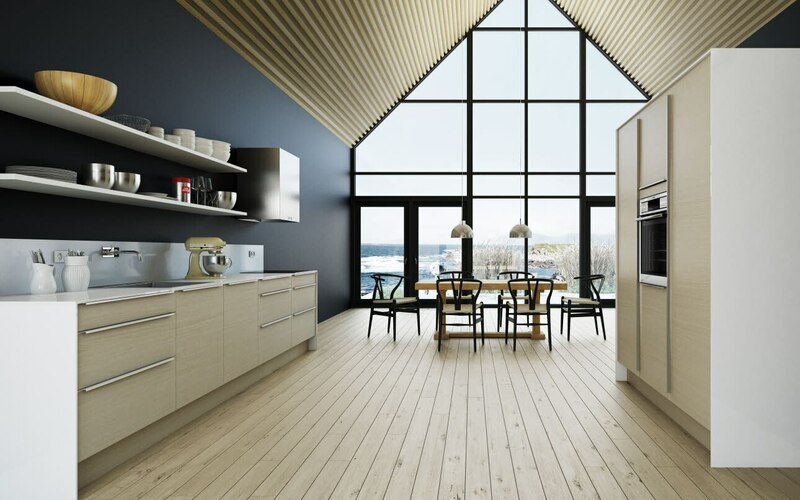 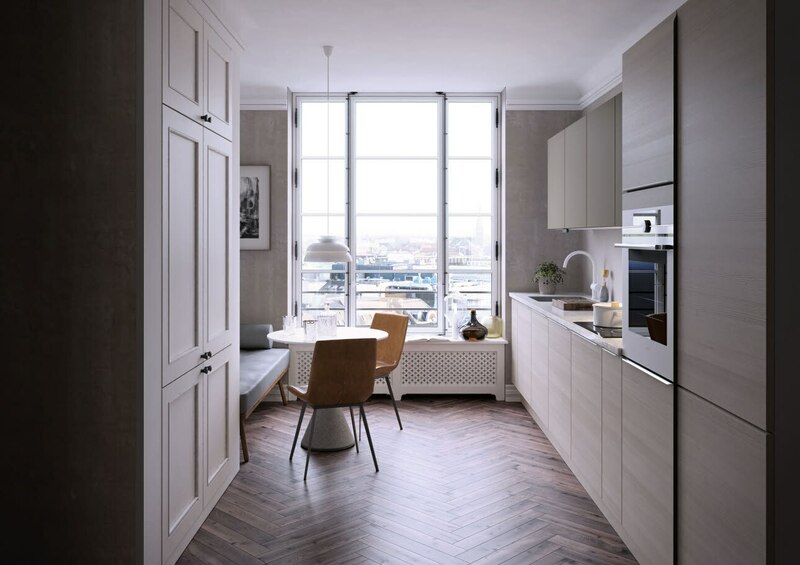 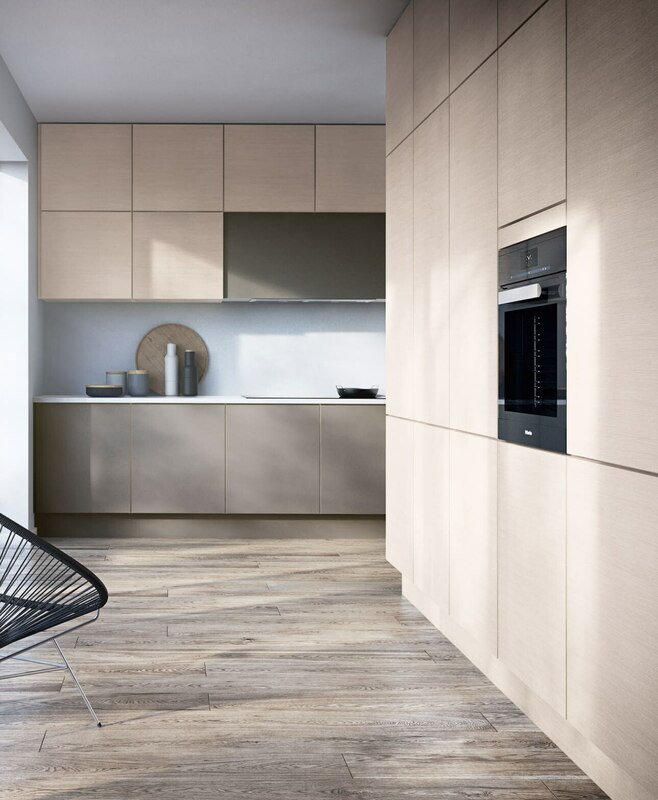 HTH offers a unique solution if you want a modern, handleless kitchen. The VH-7 Concept is a handleless kitchen design based around a series of beautiful and functional handle grooves. 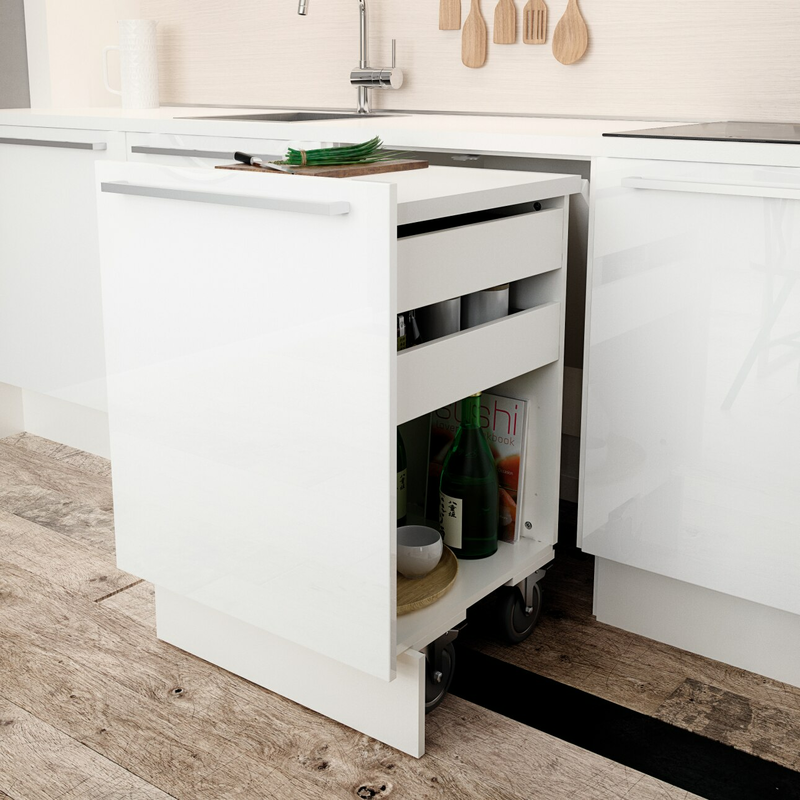 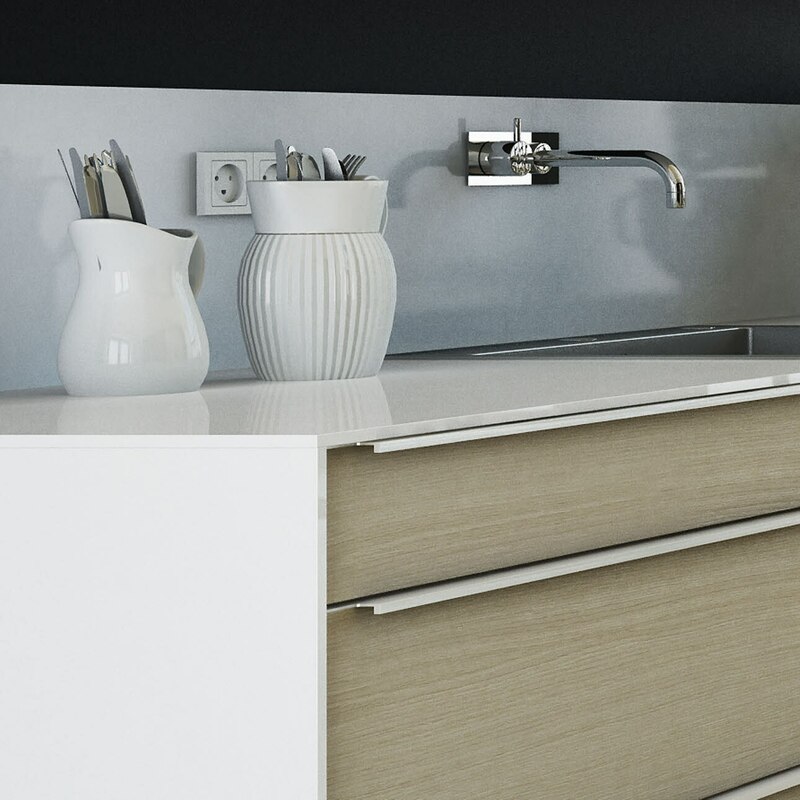 The result is beautiful lines and a firm grip on your kitchen unit doors. 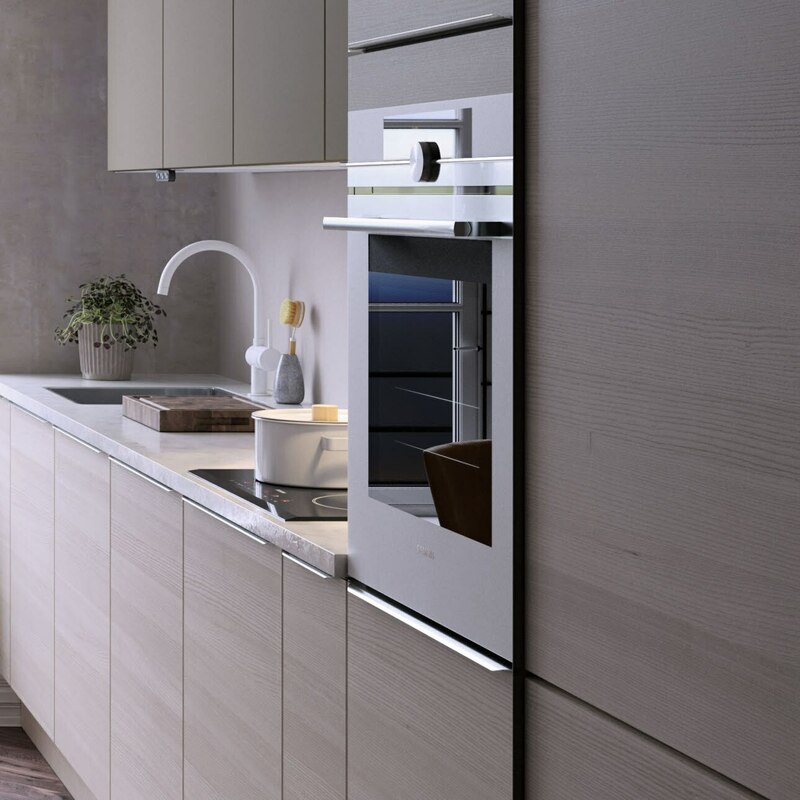 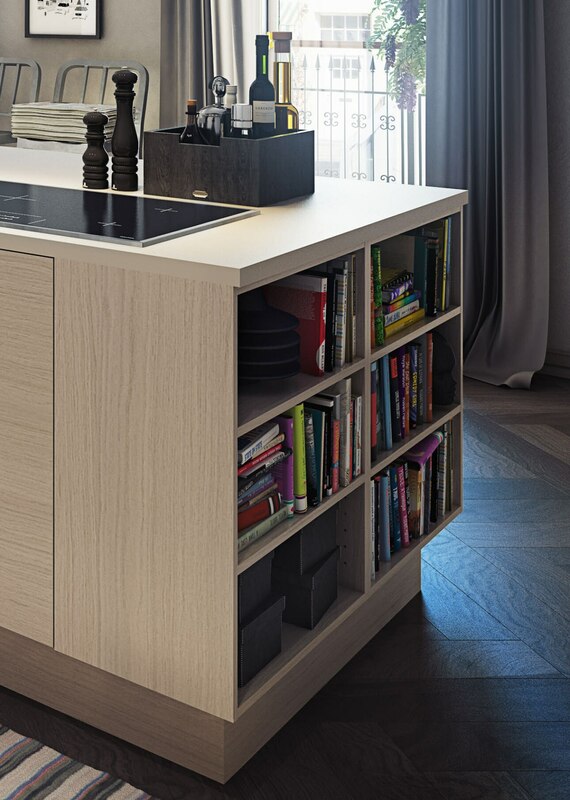 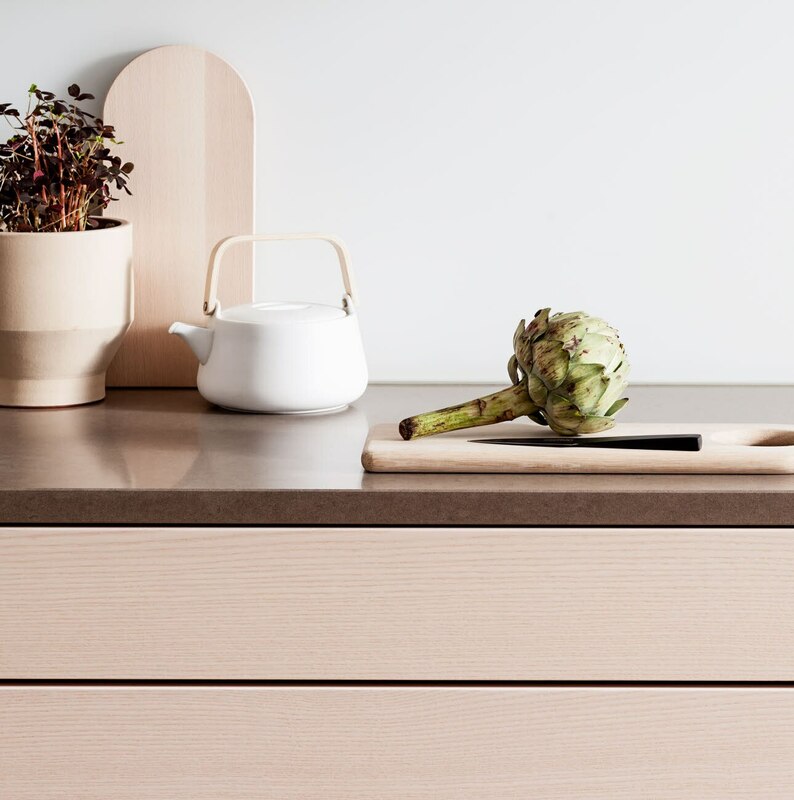 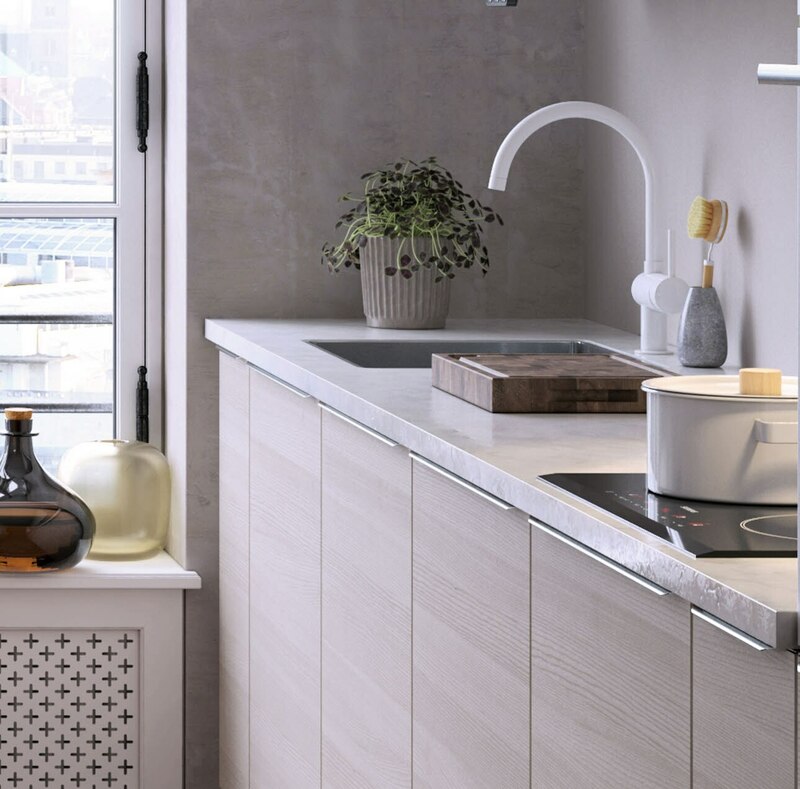 The unique handle grooves have been developed in a way that avoids cutting into the actual unit door – a solution which characterises other handleless kitchens. 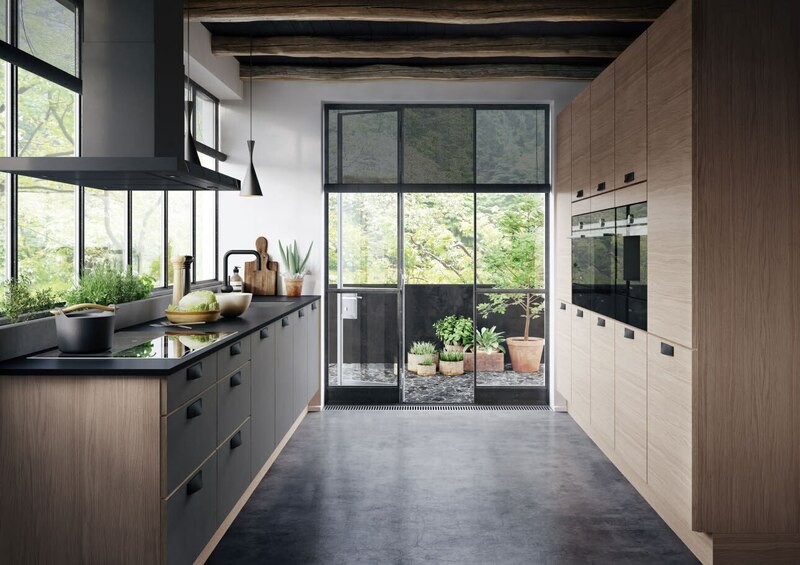 Find more inspiring pictures in our kitchen gallery. 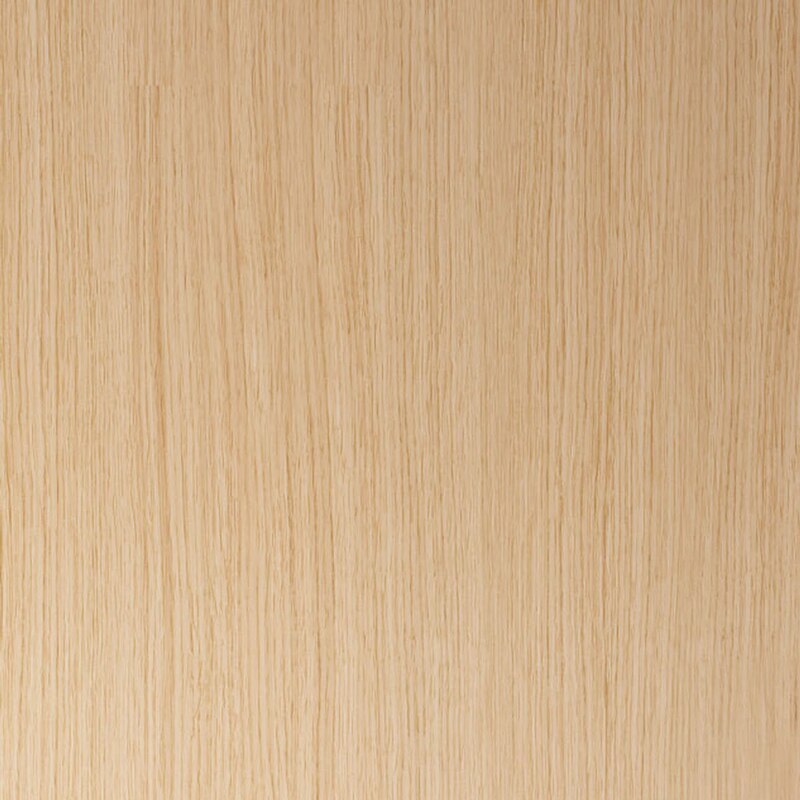 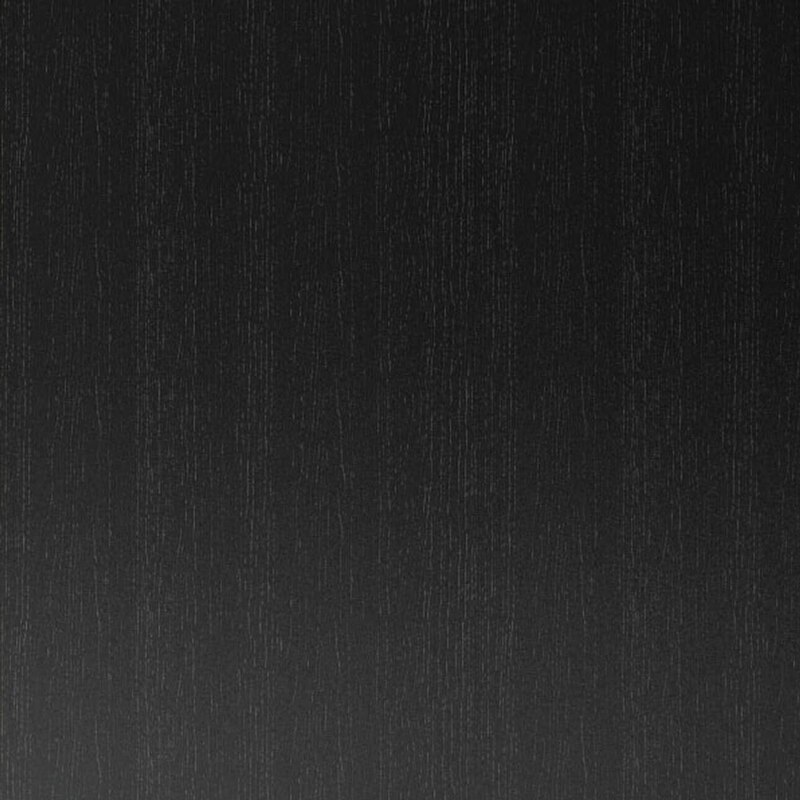 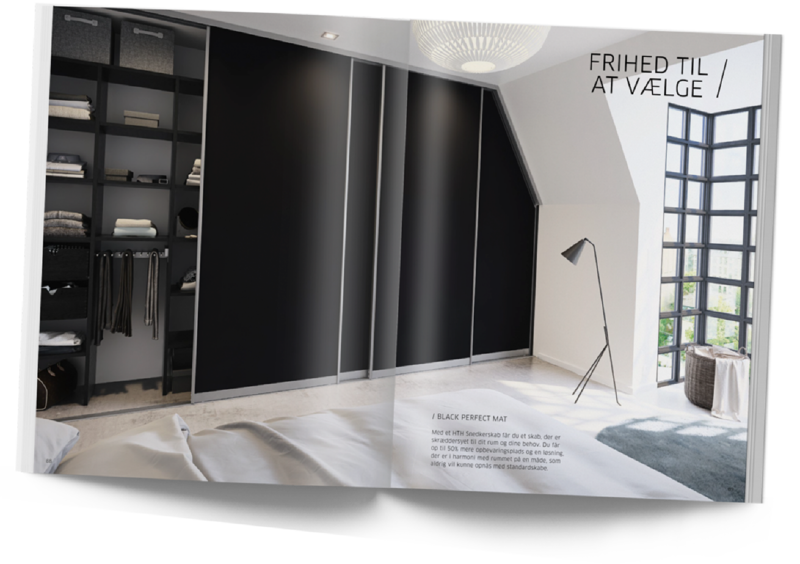 Focus Veneer is a 19 mm unit door covered in veneer with a horizontal grain. 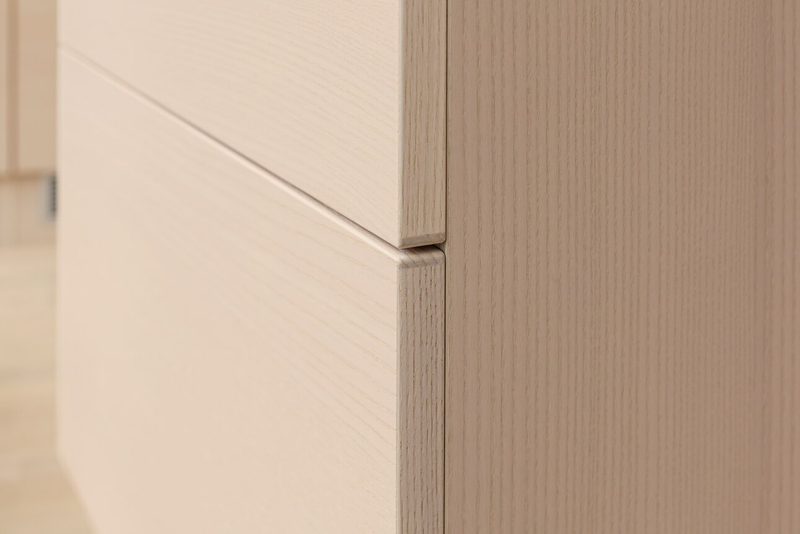 The fronts have slightly rounded corners and are edged with solid wood edging. 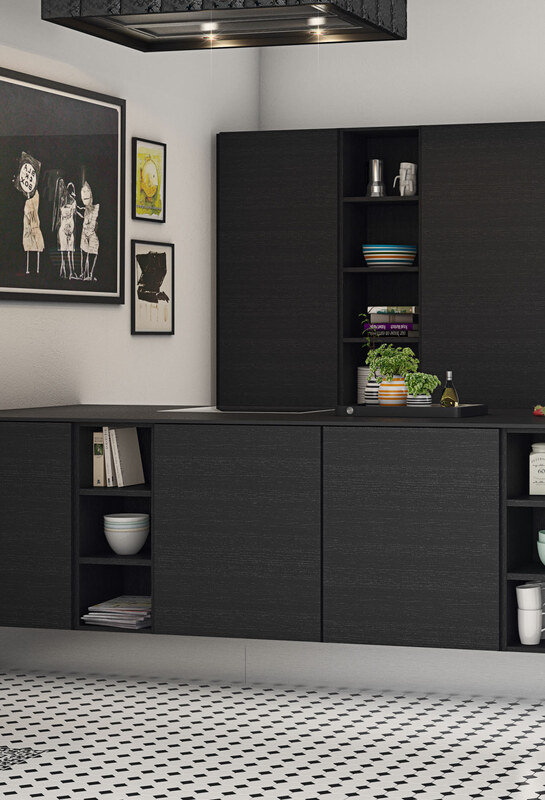 The wood edges and veneer surface are treated with a durable lacquer that makes the unit doors resistant to wear. 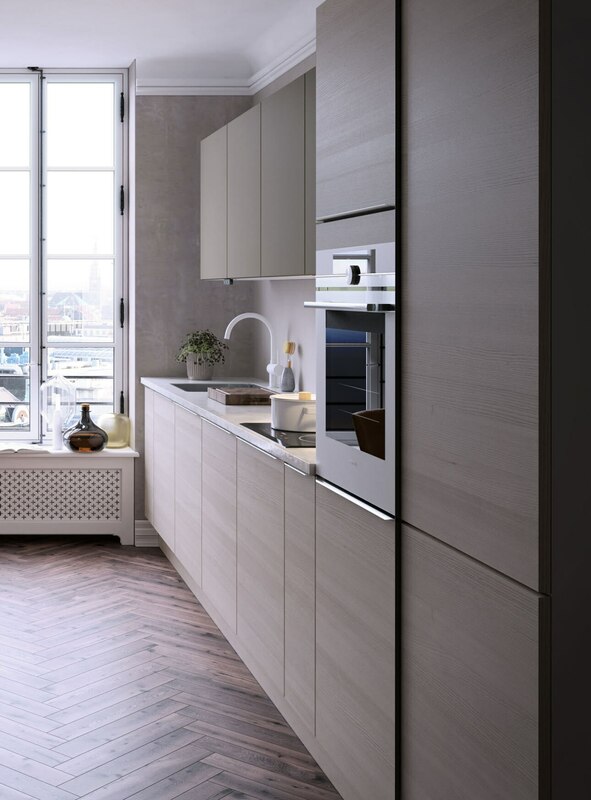 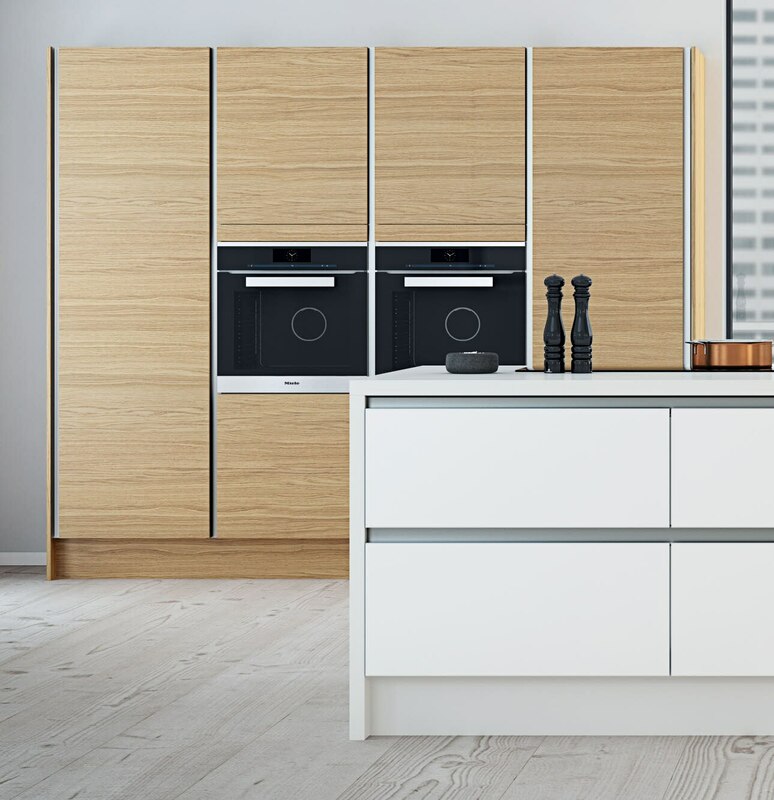 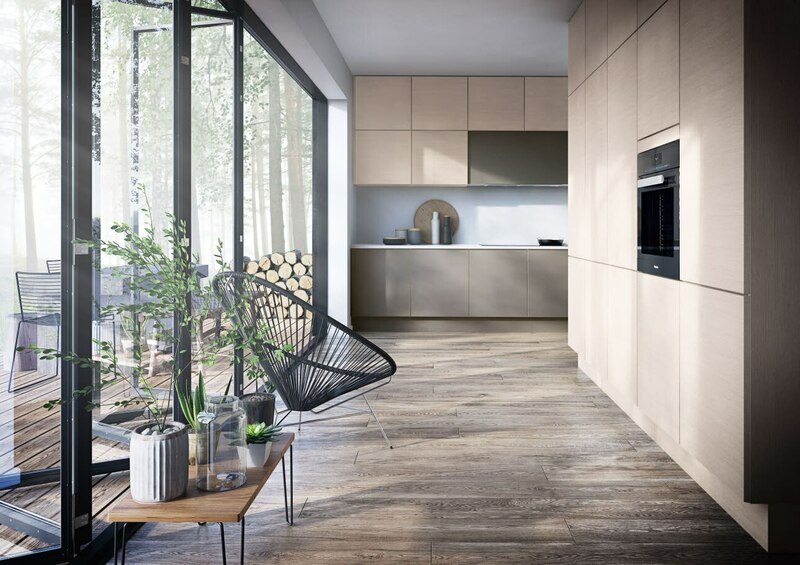 HTH’s veneered doors are the perfect choice if you are looking for a modern kitchen with a simple and natural look. 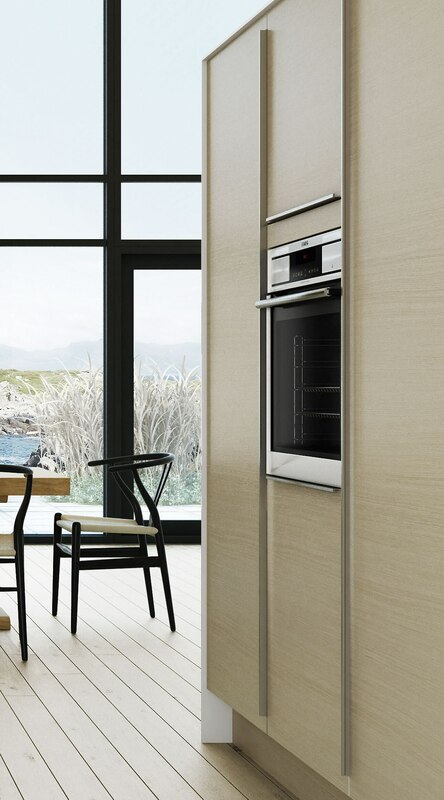 Veneer is a natural material with beautiful variations, and the wood grain gives each unit door a fascinating finish. 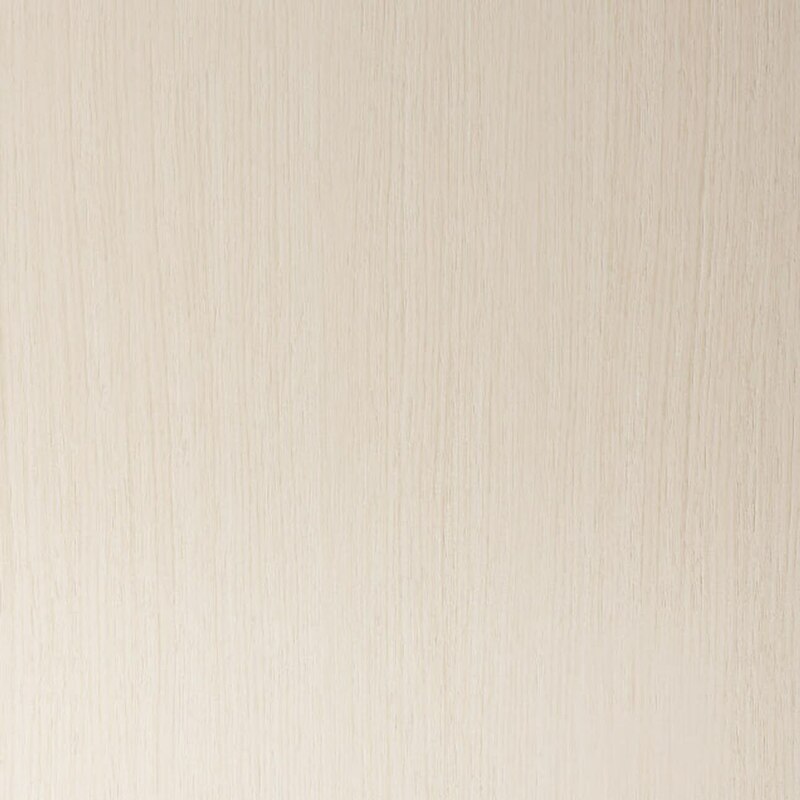 Veneered doors provide a strong and durable solution that is also easy to maintain. 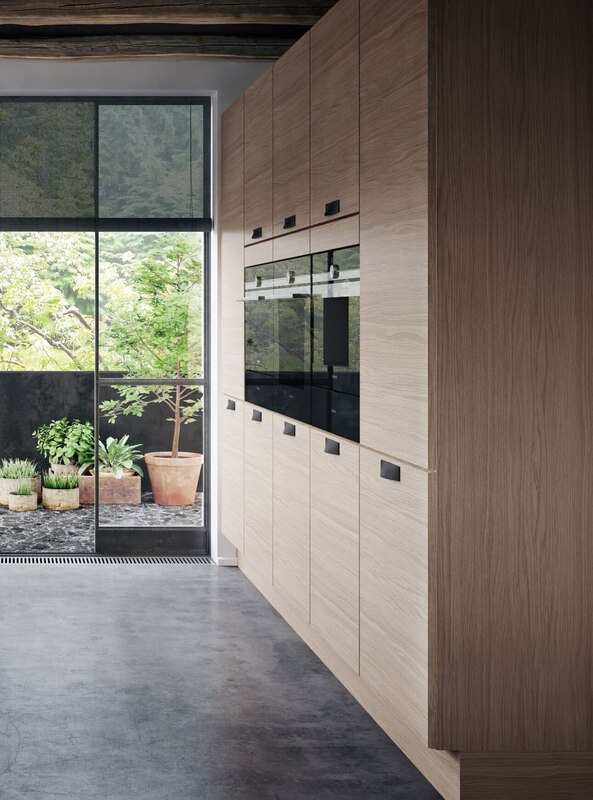 You can experience the design and feel of a modern kitchen at a HTH shop. 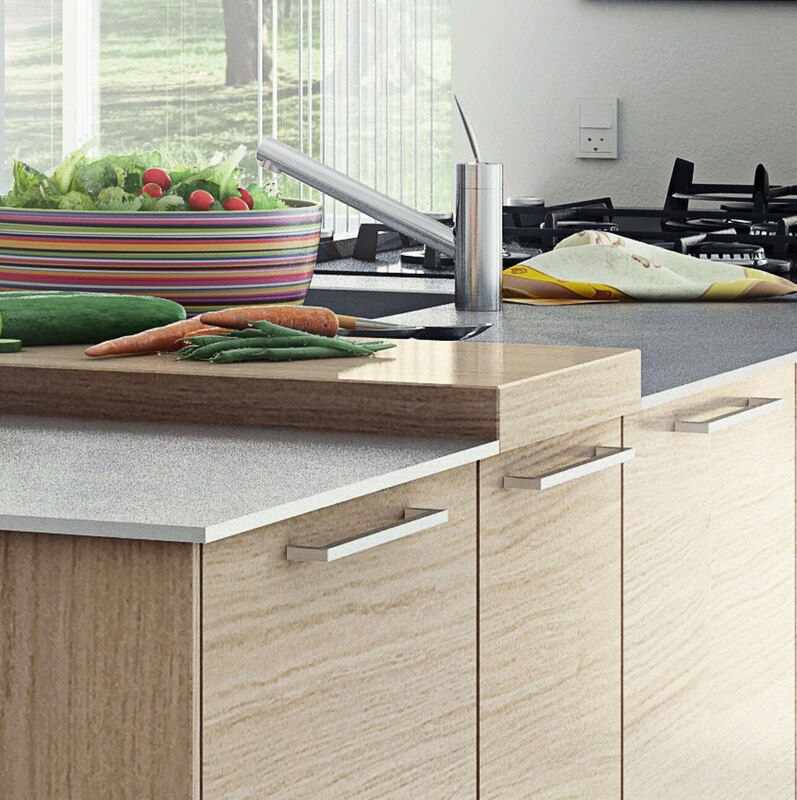 Here, you will be able to see how the natural materials come into their own. 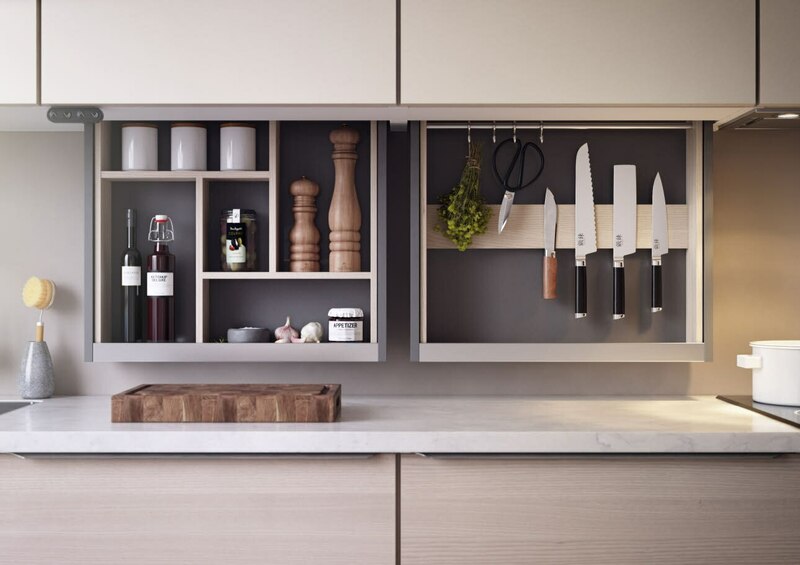 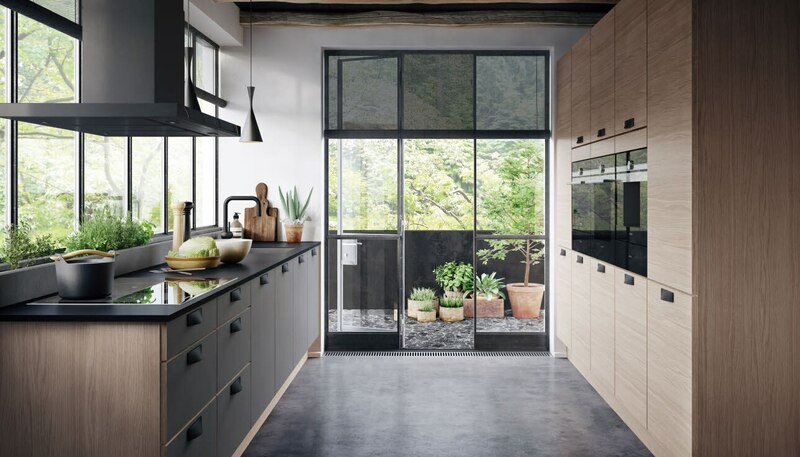 In our shops, it’s also possible to have a chat with one of our expert kitchen consultants, and find out more about how to organise your new dream kitchen. 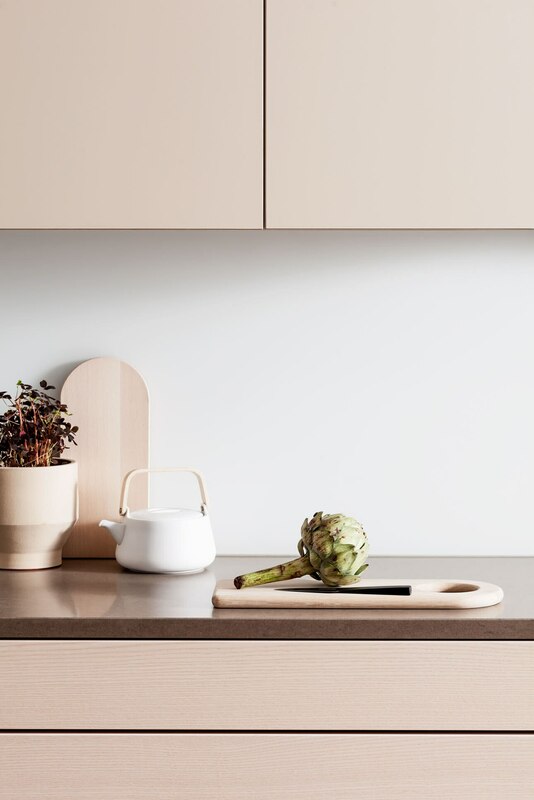 once all the details are in place. 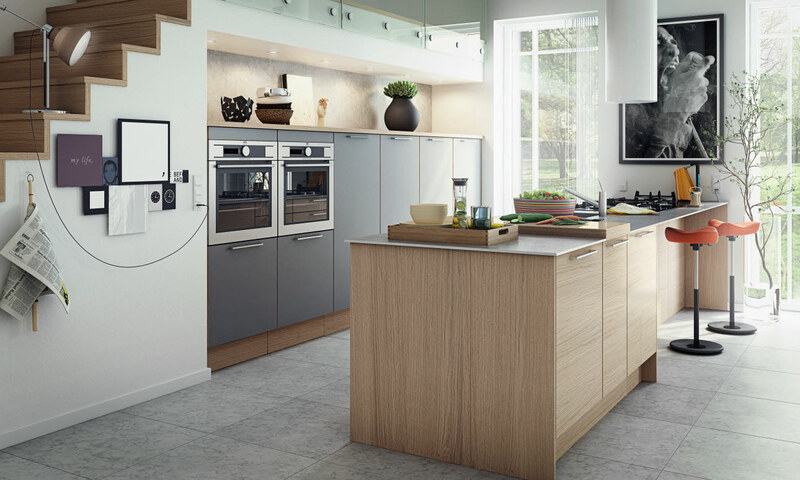 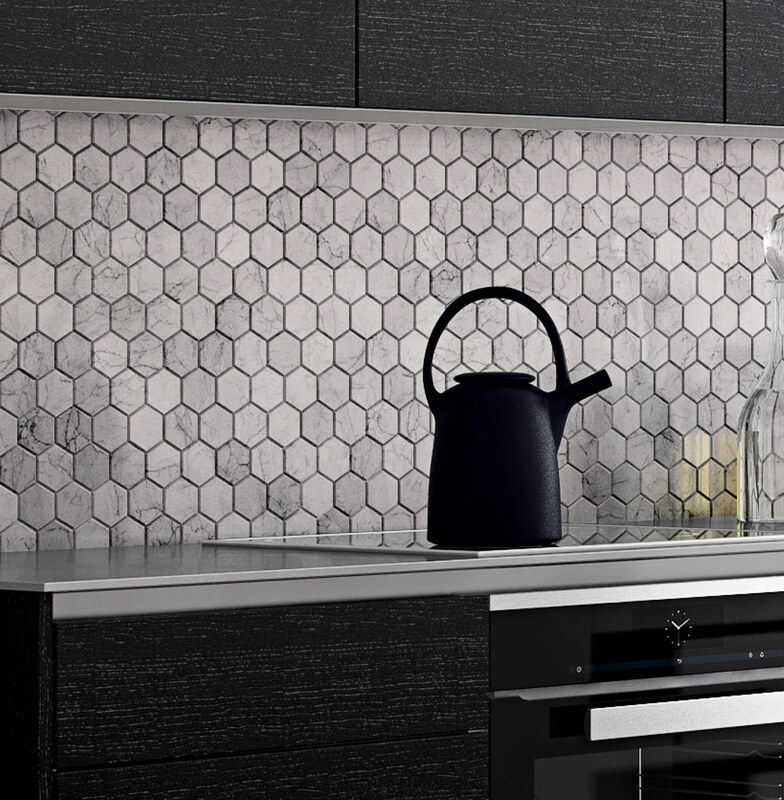 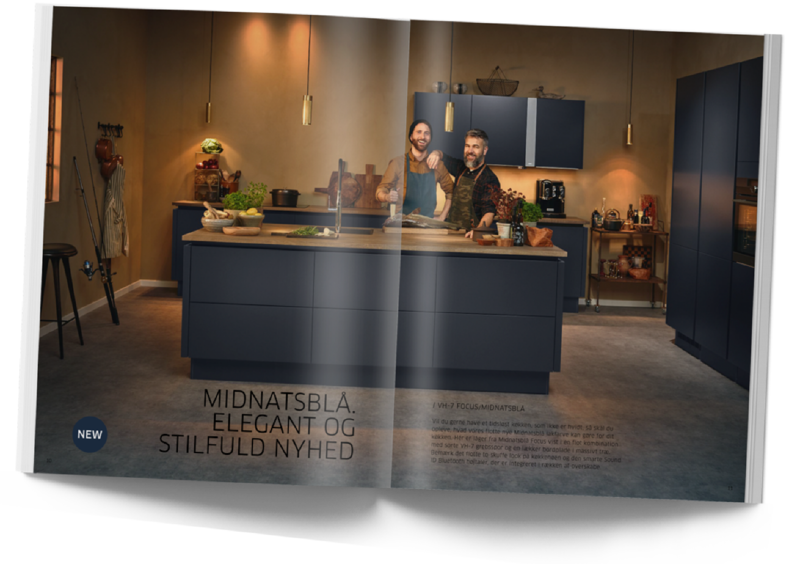 Explore HTH’s extensive product range and find the perfect solutions for your new and modern kitchen.